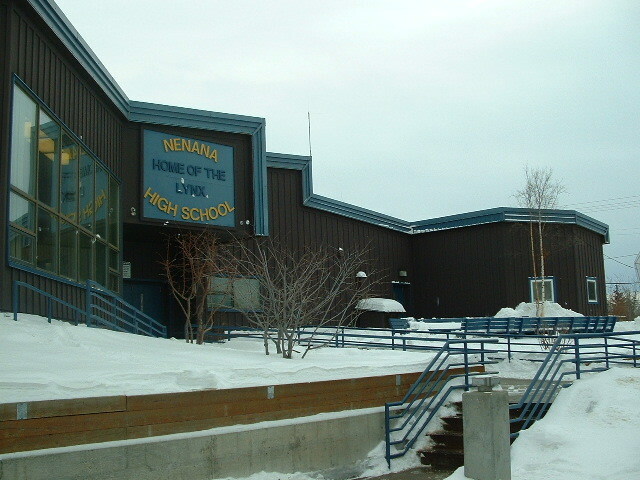 Nenana City School District is located in Nenana, Alaska. We are 55 miles south of Fairbanks and 300 miles north of Anchorage on the Parks Highway. Our district serves 200 K-12 students at the Nenana City Public School and 800 correspondence student through the CyberLynx K-12 program, with satellite offices in Anchorage, Fairbanks, and Wasilla. The Nenana Student Living Center is home to up to 88 high school students who come from all over Alaska to attend Nenana City Public School. Please see the Nenana Living Center and CyberLynx pages for more information on these programs. Nenana is also the home of the Nenana Ice Classic. Nenana School District is privileged to have an outstanding and experienced staff. The District has a strong record of academic and vocational education success. Staff take seriously the mission of providing the best possible education to prepare youth for advancement in today’s complex world. Please take a minute to fill out this survey on school activities!